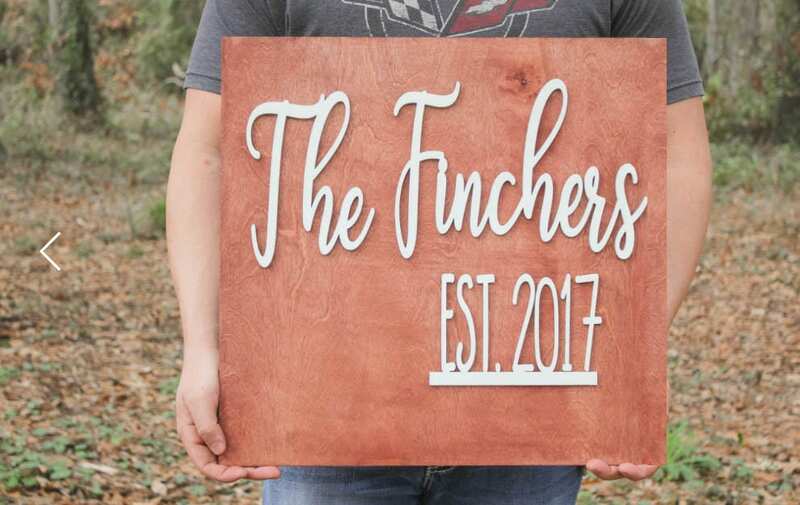 This listing is for a custom wood sign 1/4" thick. Perfect wedding gift, House warming gift, nursery or home decor! Pictured sign Measures 18" x 18"". Does not include any hardware. Please let us know at checkout in the note section what you would like the text to say. PLEASE DOUBLE CHECK YOUR SPELLING as we are not responsible for typos. THIS ITEM SHIPS IN 3-5 BUSINESS DAYS! - Please note if this item is purchased with another item that has a longer production time, it will be shipped with that items scheduled ship date. This item is non-refundable due to the nature of the item.